Do you remember the film Suicide Squad? Obviously you do because the film itself is so famous that everyone still talk about a possible sequel. Though, it didn’t do that well in terms of ratings but there’s one character that everyone loved - Harley Quinn. Yes, she has became an iconic character for DC fans and finally, they just released a teaser trailer of her upcoming film which is, Birds Of Prey. Here’s what you need to know of the highly anticipated film. 1. What is the official Birds Of Prey movie title? 2. What is the Birds Of Prey rating? Birds of Prey is currently confirmed to be rated R. That's in line with what Margot Robbie wanted when she pitched the idea of "an R-rated girl gang film." She wanted her Harley Quinn to be part of it, but not have it be a solo film. If this R rating holds, it will be the DCEU's first R-rated release. 3. What is the plot of Birds Of Prey? Warner Bros. has yet to release an official synopsis for Birds of Prey, but here's what the film is reportedly about: Harley Quinn is said to bring this girl gang together, with Mary Elizabeth Winstead's Huntress, Jurnee Smollett-Bell's Black Canary, and Rosie Perez's Detective Renee Montoya protecting Ella Jay Basco's Cassandra Cain after she comes across a diamond belonging to crime boss Roman Sionis, a.k.a. Black Mask, played by Ewan McGregor. Given the fact that the Birds of Prey often operate out of Gotham City, they have come into conflict with Harley Quinn numerous times over the course of their publication history. 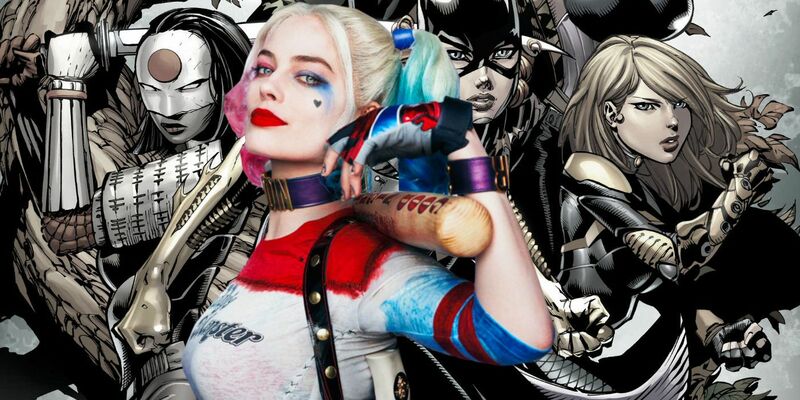 It's not clear yet how Birds of Prey will connect Margot Robbie's Harley Quinn to the heroines, but Mary Elizabeth Winstead said the movie is sort of a Suicide Squad spinoff, with Harley bringing the girl gang together. 5. Who are the team members in Birds Of Prey? In the original comic, the team consist of Batgirl, Black Canary and Huntress but for the film adaptation, they decided to replace Batgirl with Harley Quinn. Other characters will also be introduced in the film such as Renee Montaya, who, if you’re a DC fan, is the character will be known as The Question. Already anxiously waiting for the film to be released? The film will only be in theaters in 2020 and so, watch the teaser trailer below.